Open Targets releases first new data from consortium experiments, demonstrating its commitment to sharing data openly. The second release of the Target Validation platform also offers programmatic access to a vast, diverse, integrated range of freely available data – connected via 8000disease terms and over 24,000 genes. Users can now browse the platform through a web interface designed by user-experience experts, or gather many relevant datasets at once using the new Target Validation application-programming interface (API). This makes it easier for researchers in companies and academic settings to integrate their own data with public datasets, and work on them locally. For information about how your company might interact with Open Targets, e-mail the scientific coordinators at contact@targetvalidation.org. 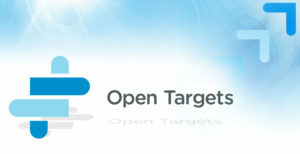 To learn more about the Open Targets, or to arrange an interview with one of the scientists, please email press officers at Biogen, EMBL-EBI, GSK and the Wellcome Trust Sanger Institute using press@targetvalidation.org.